There are normally 2 sessions, 11am-12pm and 12pm-1pm. Group size of X10 Juniors per session. Clubs (if needed) and balls are provided. Only £10 for 5 lessons. Our aim with junior coaching is to encourage fun and enjoyment. When learning about golf it is easy to have fun. You meet new friends and those friendships can last a lifetime. Golf is a sport that you can play for many years and it does not matter what your skill level is. 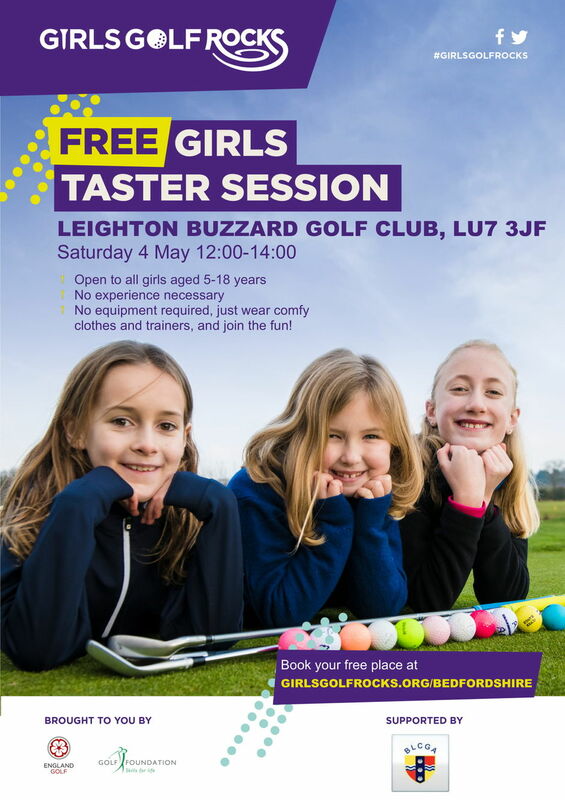 At Leighton Buzzard we have a long tradition of helping and nurturing young people along a path that helps them grow as individuals as well as golfers. Everyone at all levels of the game enjoys playing golf so come and visit us here at Leighton Buzzard to start your golfing journey. Individual lessons are available from the Pro Shop team. If you would like to find out more or book your place, contact the Pro Shop team on 01525 244815. Girls Golf Rocks is back for 2019! Click HERE to register for a FREE taster session today, or call the pro-shop on 01525 244815.